What makes a fantastic artist? Is it their commitment, talent, hard work or a number of elements including luck? 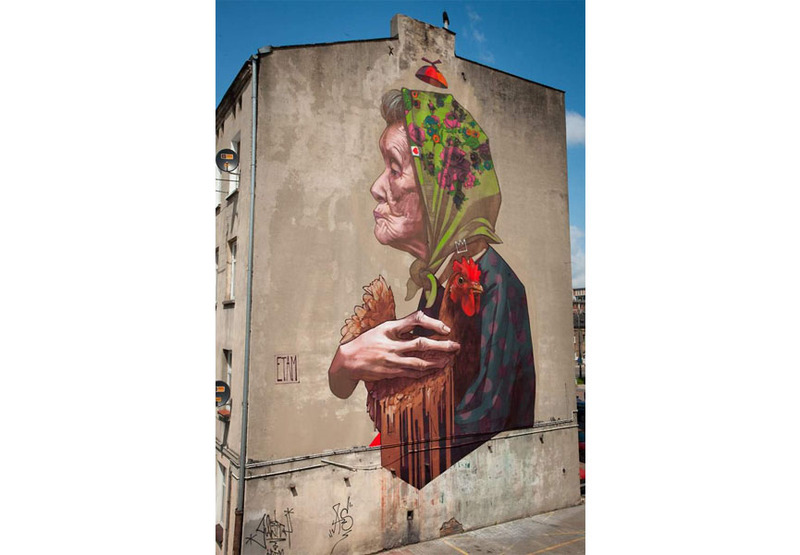 Analyzing the year behind us, it was pretty obvious that in the case of Polish street art duo Etam Cru, all these criteria were fulfilled. Their talent is undeniable, participation in various events throughout the year proves their commitment and days spent on the crane is an undisputable example of their hard work. 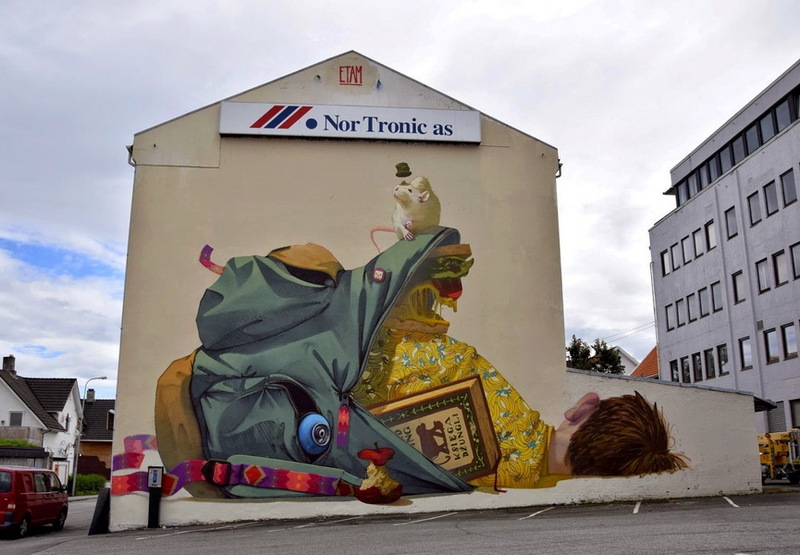 Composed of the artists Sainer and Bezt, who both have very successful individual careers, the two decided to merge their talents into one mutual project that goes under the name of Etam Cru. 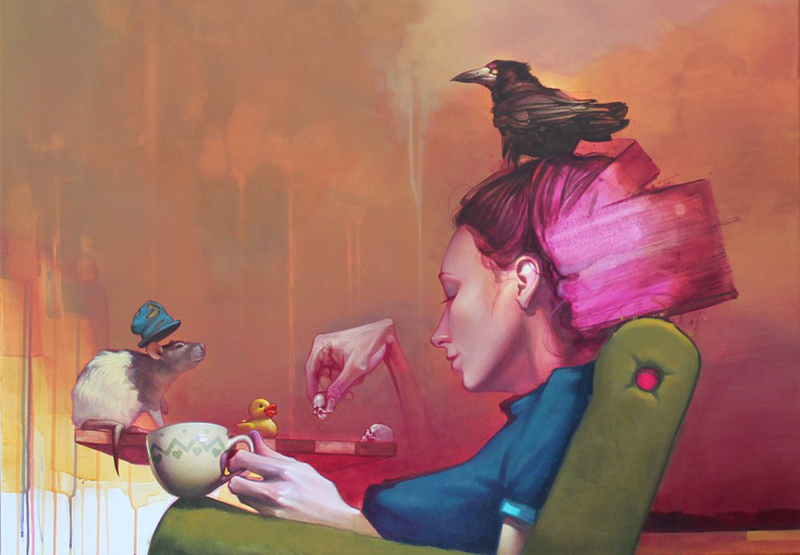 Although an art collective for only six years, Etam Cru has managed to gain respect from the international street art community quite easily thanks to their unique style and a rare combination of traditional Eastern European symbols and folklore with a technique of a contemporary art painters. 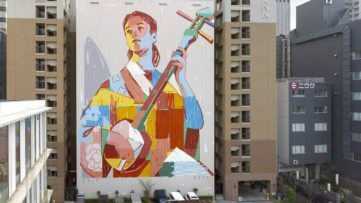 Their larger-than-life murals are another important element to their greatness. Rarely under seven stories high, the amount of details and accuracy in their work is unbelievable. During 2014, Etam Cru has been working incessantly, visiting and working in over 15 countries, adorning walls of capitals and not so large cities, participating in several European street art festivals, creating artworks for many brands and innovative individuals and, on top of that, they managed to be a part of several group exhibitions and host even two solo shows. Because of their beyond words talent, pertinacity and twelve months of stunning art, we announce them our Artists of the Year, highlighting their most impressive projects in 2014! Back in May, the Munich based STROKE Art Fair has proved to be one of the most exciting art events of the year. Focusing primarily on promotion of young, emerging and, most importantly, affordable art, the art fair has presented many artworks that are inseparable part of the urban lifestyle and culture. 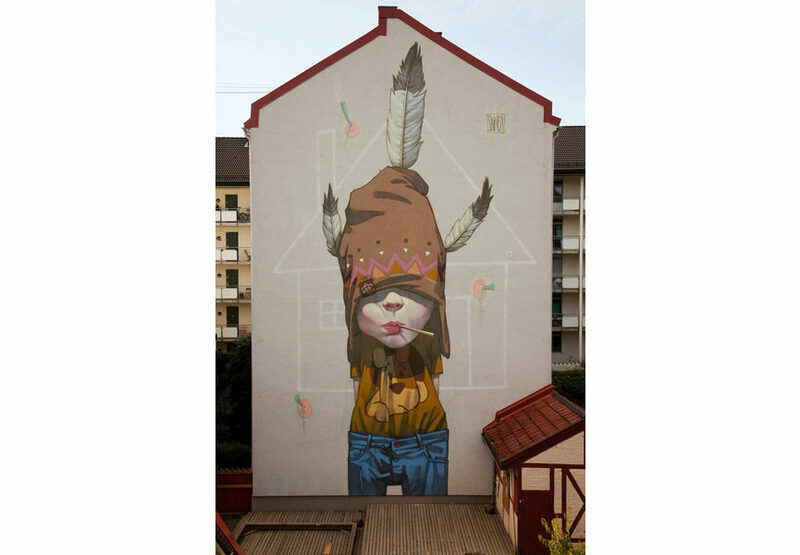 This year, STROKE hosted some of the most prolific urban artists, including: Herakut, Faith 47, ROA, Fin DAC, Best/Ever, Vesod, Pixel Pancho, Curiot and Etam Cru who gathered at the German capital and justified their status as some of the best artists in urban art. 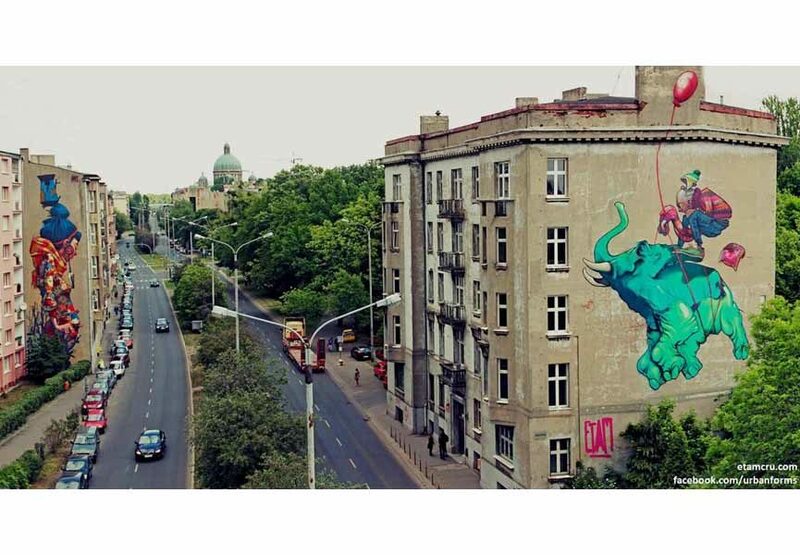 Next month, Polish street art superstars were already on a new mission. 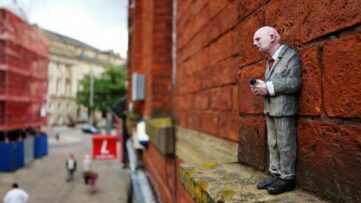 As a part of the Urban Art Basel, Artstübli, an exchange platform of urban Swiss art has been committed to promoting Swiss urban artwork around various venues in Basel and fostering a lively exchange since 2004. 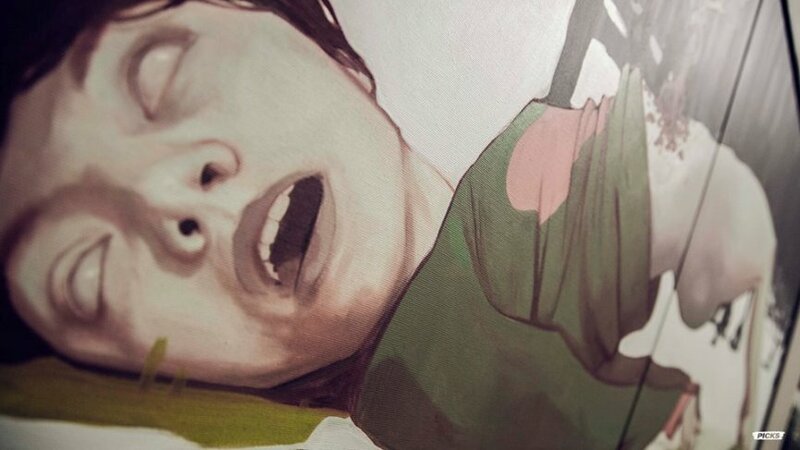 From 16 to 22 June, Artstübli showcased various fine art prints, screen prints and some originals from international and national artists like Vhils, Dave Kinsey, Etam Cru, Ben Frost, Tilt, Nychos, Victor Castillo, Kofie, Smash137 and many more. In August we presented you the interesting story of combining art and wine. It was a project called myFINBEC, initiated and organized by Yvo Mathier, proprietor of Switzerland-based winery Cave Fin Bec who besides being an expert in wine seems to be an art enthusiast as well. 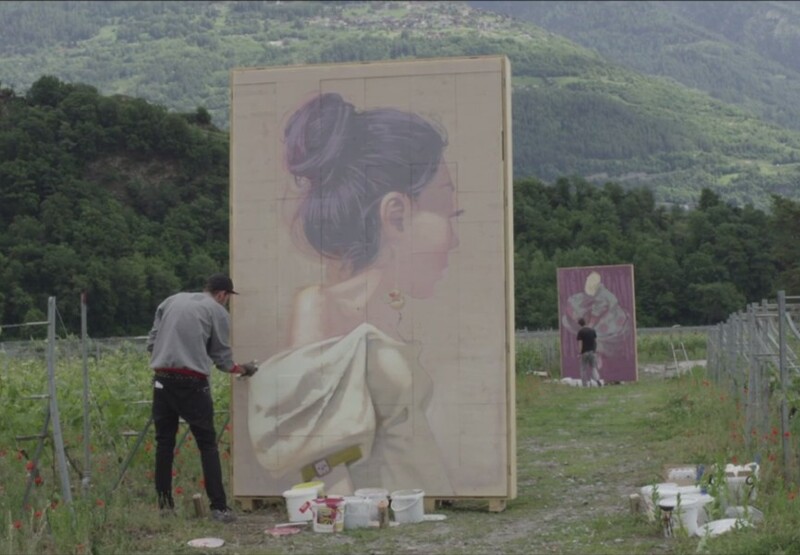 The idea behind the project founded in 2013 was to bring these two passions together – some of the world’s biggest street art names were called to participate in this unique event where they would contribute by painting eight labels on 672 stacked wood wine crates (84 crates for each painting). This way, buyers got the chance to have a unique piece of art and amazing wine all in one. 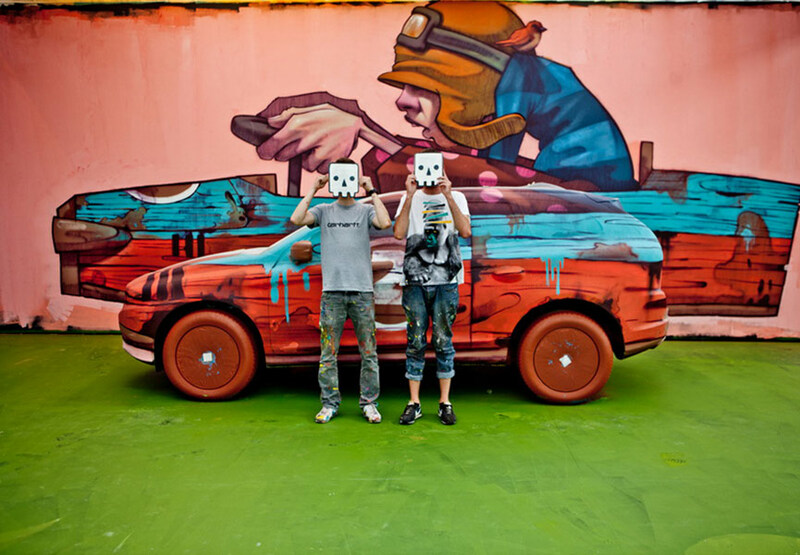 This year’s myFINBEC 2014 welcomed the artists Vhils, Herakut, C215 and Etam Cru whose works on the product were afterwards exhibited at several galleries as a part of myFINBEC European tour. 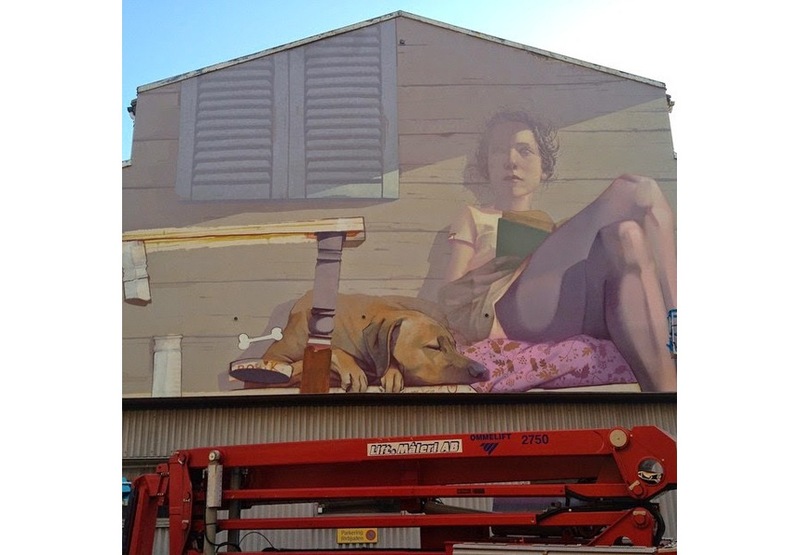 In between all these street art festivals, fairs and commissioned works, Etam Cru found time to take part in two important group shows. First one, organized as a part of the opening of a new gallery space of Vienna’s Inoperable gallery, happened October 10, featuring 37 artists who have been collaborating with the gallery before its closing in 2013, as well as the ones that the gallery team is looking forward to working with in the future. The show entitled “REDUX” welcomed artists like Onka Allmayer-Beck, Etam Cru, Boicut, Broken Fingaz, Christian Eisenberger, Colin van der Sluijs, EVER, EVOCA1, FAITH47, Lukas Gansterer, Saner and many more. 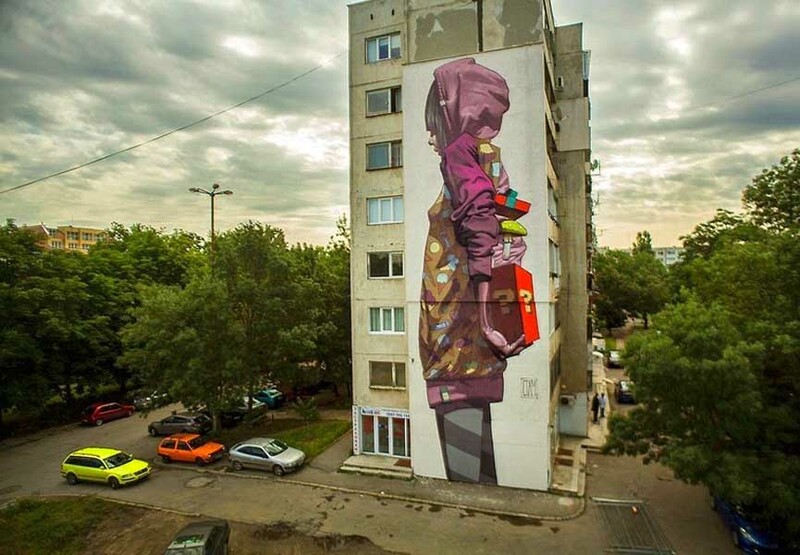 As the Polish urban culture has been growing significantly over the past several years, as an outcome of such a cultural development, we have Etam Cru, Robert Proch, Chazme and Sepe who represent some of the biggest names in the world of the graffiti and street art. 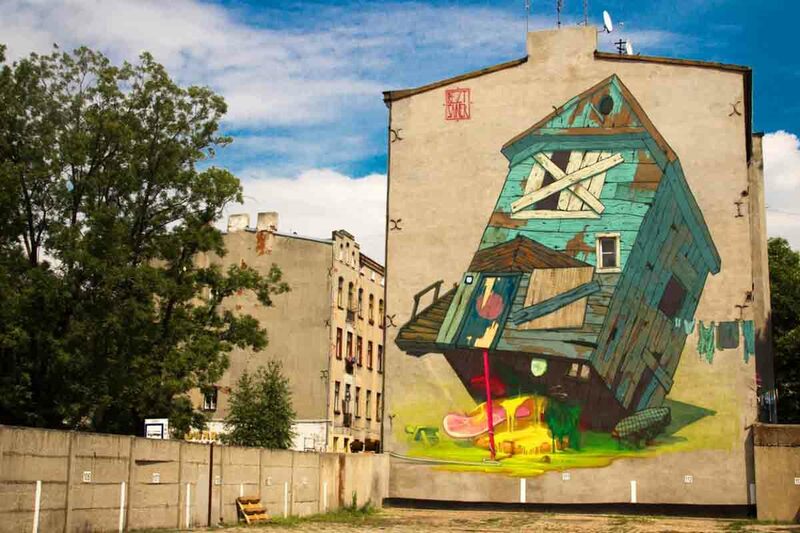 Following the footsteps of this practice, an ongoing project called the Polish Urban Art is on a mission to promote the best of what Poland has to offer in terms of creative individuals. 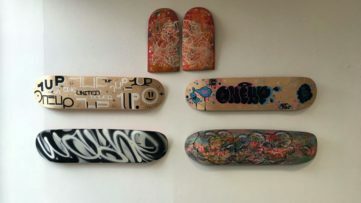 The Project began its journey in October and visited cities like Kiev, Lviv, Minsk, Stockholm and recently Berlin, where they exhibited at the Urban Spree gallery. The last one took place in Paris at the Espace Leon venue and it was an event to remember. 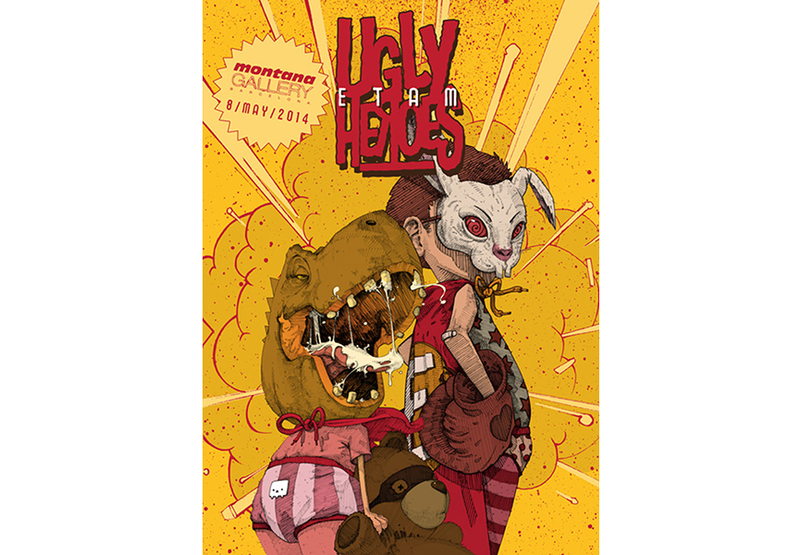 In 2014, Etam Cru had its two “firsts” – their first Spanish exhibition under the title “Ugly Heroes” that opened in Barcelona’s Montana Gallery on May 8th, and the first big show in Rome, Italy entitled “Bedtime Stories” that opened in October. After graduating in fine arts, the artists have chosen to express themselves through murals. Their brightly colored murals often contain fairytale elements and traditional Polish motifs. The main characters, be they animal or human, seem to be in motion, but their use of color and shading is something that is perhaps the most breathtaking. In “Bedtime Stories”, the artists recall the tales parents used to read to their kids before going to bed and it evokes that special in-between atmosphere that happens while you’re still awake, but gradually falling asleep while gently taken to the realm of dreams. 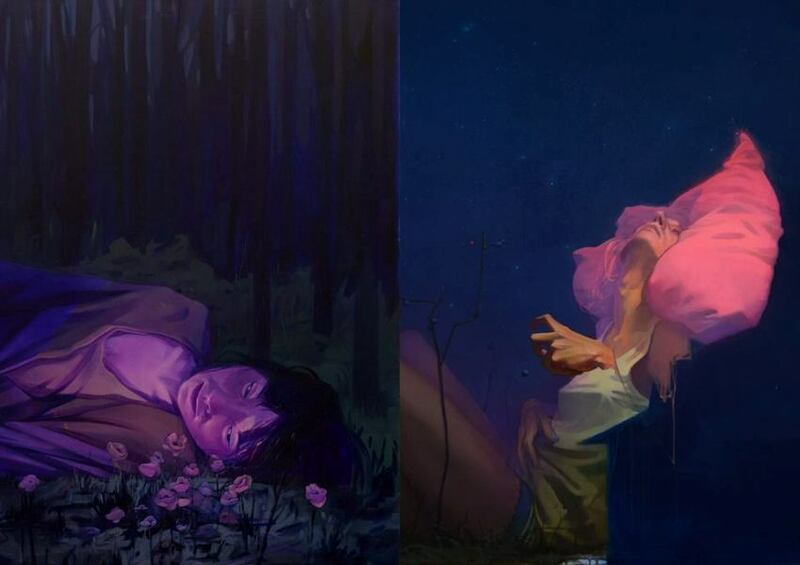 Both in the title and in the art works, the exhibition also actualises Etam Cru’s idea, according to which everyone can read a painting in a different way and discover in it a different story. Thus, they offer the viewer the freedom to see a personal elsewhere in each work. 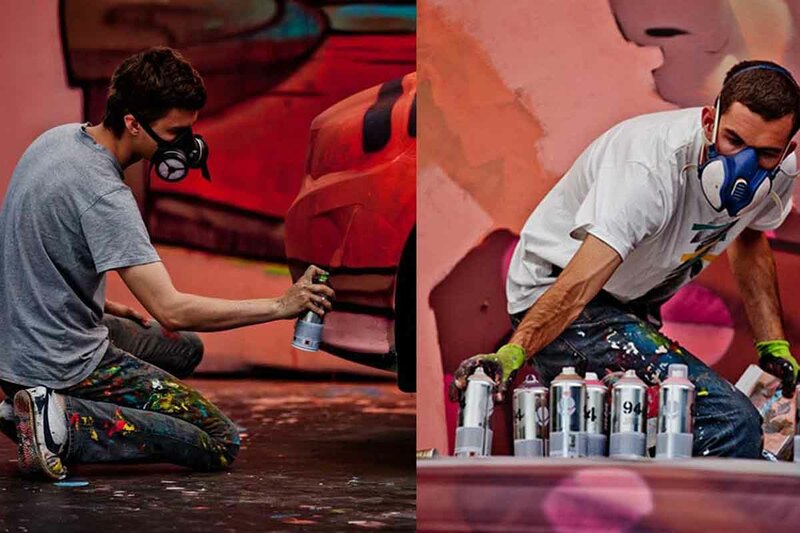 As if this wasn’t enough, Sainer and Bezt found time to respond to most of the invitations by organizers across the world and stop by the locations and paint their walls. Some of the most memorable murals of 2014 were done in Rome, as a part of their Bedtime Stories exhibition, a breathtaking mural painted in Borås, as a part of the “No Limit” Street art festival, and the educational one that the amazingly talented artists did for all the pupils entitled “First Day of School”, which was a part of the Nuart Street Art Festival. 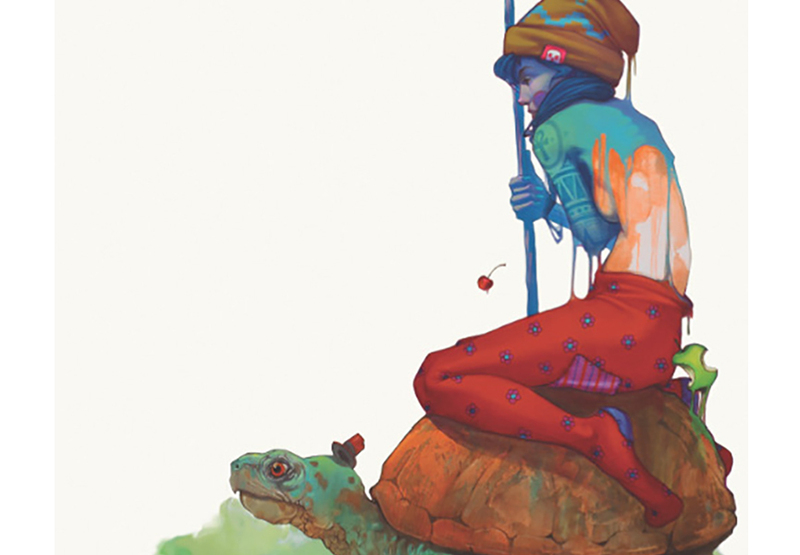 Although it seems quite impossible to do so many things in only twelve months, the guys from Etam Cru announce the year 2015 to be even more active and creative. We are definitely looking forward! 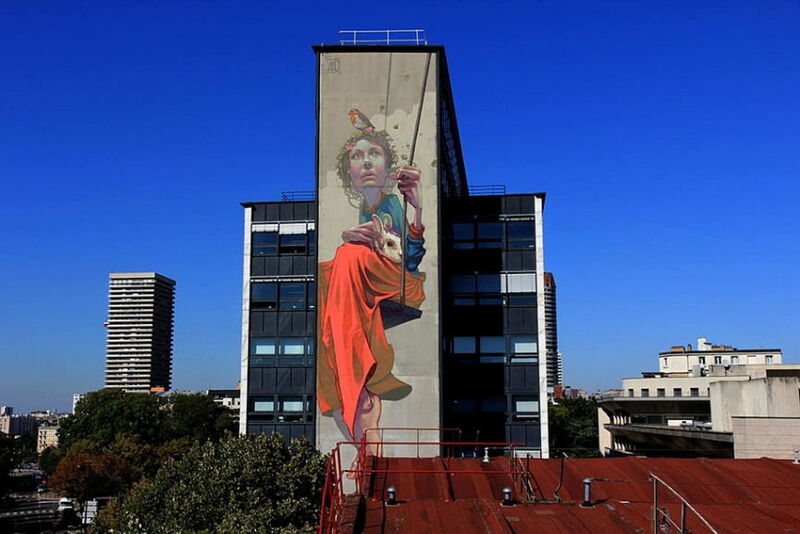 If you want to know more about Etam Cru’s upcoming projects, sign up for My Widewalls today!